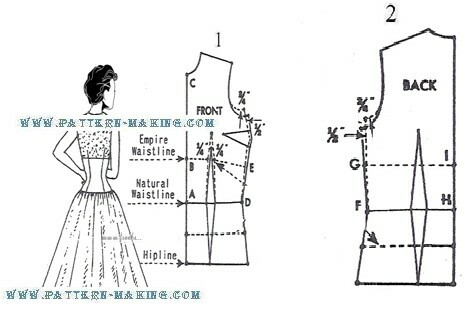 A sleeveless dress is usually closer fitting (about 2”) around bust, and the depth of the armhole is raised 3/4" as shown by dotted lines. Midriff – First draft lower edge of midriff half way between hip and waistline; then . . .